On Saturday, Dec. 10, Loudoun County Animal Services will hold its second annual “Home for the Holidays” free pet adoption event from 11:30 a.m. to 5 p.m. at the Animal Shelter, 39820 Charles Town Pike, Waterford. Adoption fees will be waived for cats, kittens, dogs, puppies, small pets and reptiles. Other holiday fun and festivities will include hot cocoa, cookies, and holiday music. 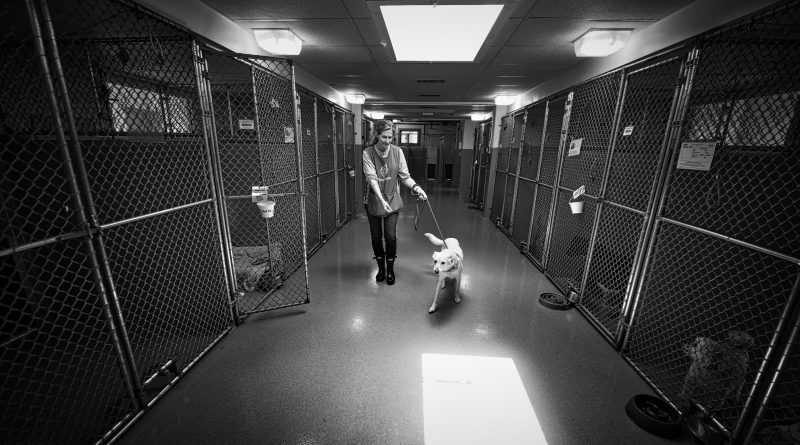 In hopes of finding homes for as many pets as possible, the shelter staff have invited the Humane Society of Loudoun County to participate as well. In addition, 12 dogs from overcrowded shelters in West Virginia will make the trip to Loudoun, hoping to find families of their own. All adopters will receive a goody bag for their new pet, including toys, treats, and gifts. In lieu of adoption, those wishing to help homeless pets may items or make a financial contribution to the Animal Program Trust Fund. Needed supplies include durable, rubber pet toys of all sizes, such as KONG brand toys; puzzle feeders; small bags of dry dog or cat food (10 pounds or less); canned dog and cat food; soft treats for dogs and cats; cat toys; dog toys; and collars and leashes. All dogs and cats adopted from shelter are spayed or neutered, have up to date vaccinations, and leave with a registered microchip to help them reunite with their family if they are ever lost. The shelter frequently has many pets available for adoption including hamsters, guinea pigs, reptiles, rabbits, other small pets and livestock. A current listing of available pets can be found online at loudoun.gov/animals. In most cases, the standard adoption screening process, which also applies during the Home for the Holidays event, can be completed on the same day.